I hope you had a great weekend. Some great summer sales going on right now. I did some damage on the Old Navy Active sale and today I thought we would look at some prices that go along with the sale trend. 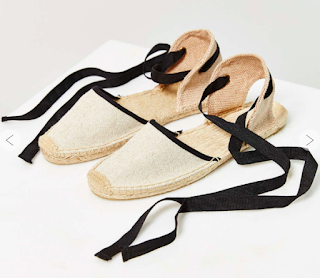 A few weeks ago we had some fun with summer espadrilles. Today let's raise the bar and look at flat espadrilles UNDER $50. 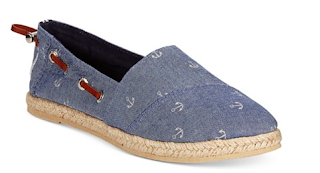 A little chambray on a shoe! I love the quiet anchor print. These remind me of ballet slippers. So feminine and airy. LOVE these. Comfort, style, summer. Love the perforated trend in the summer not only for looks but also utility. These also come in five other colors. 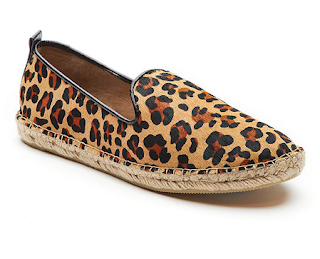 Espadrilles are certainly a one or two season shoe, so they shouldn't break the bank. 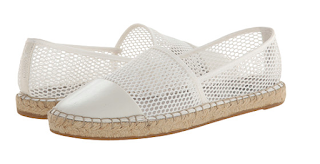 These walkable flats are perfect for summer and easy on the wallet.